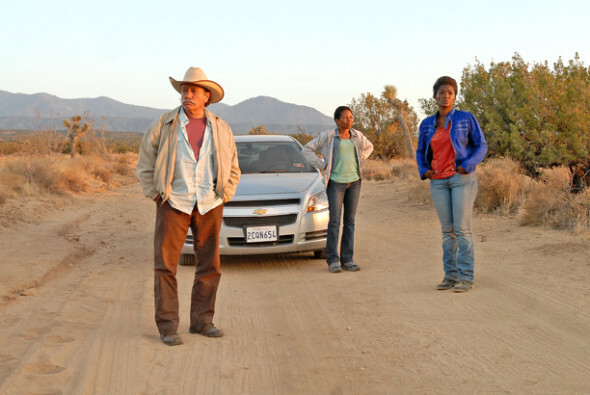 Writer/director John Sayles has built a career on character driven independents and stories that tell uniquely American tales. His latest, Go for Sisters, is a simply stated effort about the value of hard-won relationships. LisaGay Hamilton plays Bernice, a no-nonsense parole officer who bends her strident ways when her childhood friend Fontayne (an exceptional Yolanda Ross) becomes her client. Fontayne recently found herself in the company of a felon, which breaks her parole. But where Fontayne lives, felons are just about the only company possible to keep. To Fontayne’s surprise, Bernice relents. But where Bernice should reassign Fontayne to another parole officer, instead she enlists her help to find her own missing son, an ex-soldier gone missing and likely mixed up in something dodgy. Though both performances, and that of Edward James Olmos as the retired cop helping them track the missing man, are very strong, Sayles strings together scenes with no panache at all, creating something akin to TV detective show. The plot is so plainly laid out that it becomes an afterthought, no doubt because Sayles’s interest lies with the characters, not their adventure. But the audience has to feel compelled by both. The adventure contains too many clandestine meetings and coincidences for the investigation to carry the weight of authenticity, and Sayles never mines for real plot-driven tension. It’s far too light a touch given the circumstances of the kidnapping. Instead, Sayles wonders about the reasons the two women lost each other twenty years ago, and the paths they took to such different lives, and then come back to each other. Theirs is a poignant and probably very familiar kind of struggle, and it deserves our attention. It’s just too bad Sayles had to drag us all across the American Southwest and into Mexico to discover it.